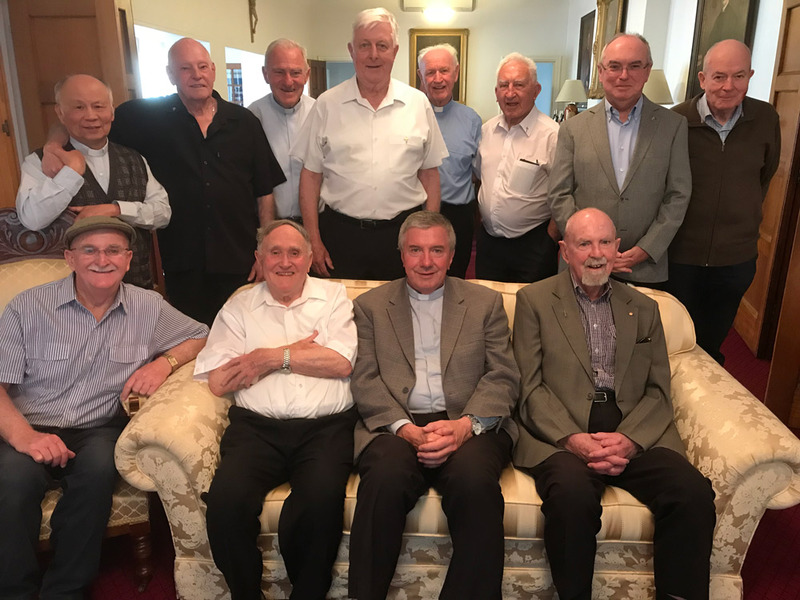 BACK: Fr Peter Doai, Fr Frank Fuchs, Bishop Emeritus Pat Power, Fr Bernie Hennessy, Fr Hilton Roberts, Fr Kevin Flynn, Fr Warrick Tonkin, Fr Michael Mullen. FRONT: Fr Allen Crowe, Fr William Kennedy, Archbishop Christopher Prowse and Fr Henry Byrne. 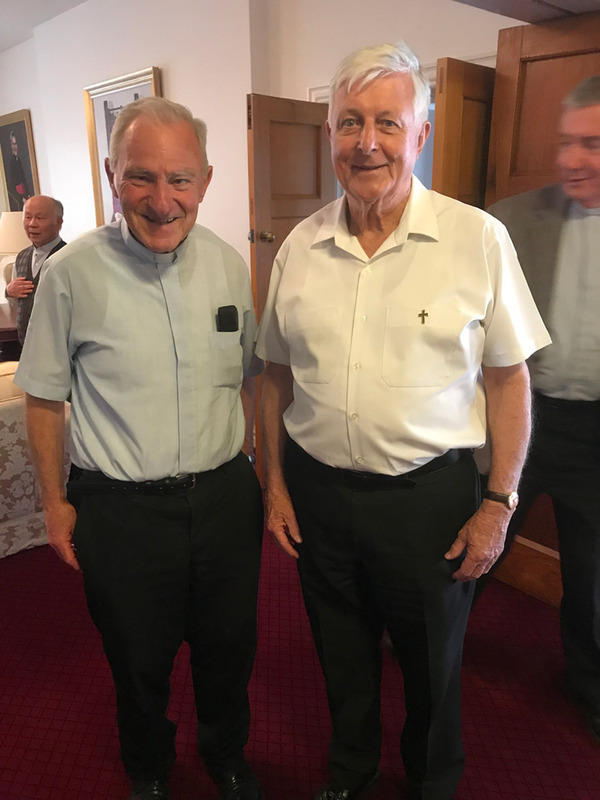 Eleven of the Archdiocese’s retired priests attended a special lunch at the Archbishop’s House on Friday, November 2. 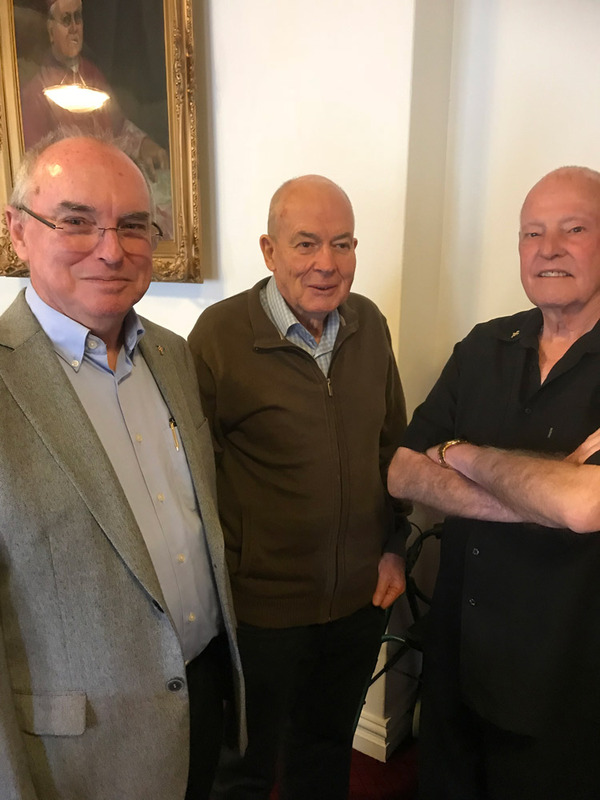 The retired priests’ lunch has become an annual event. Manager of the Clergy Retirement Foundation Kevin Croker described it as a very friendly and supportive get-together. “It brings them all together in a fraternal, sharing environment,” he said. 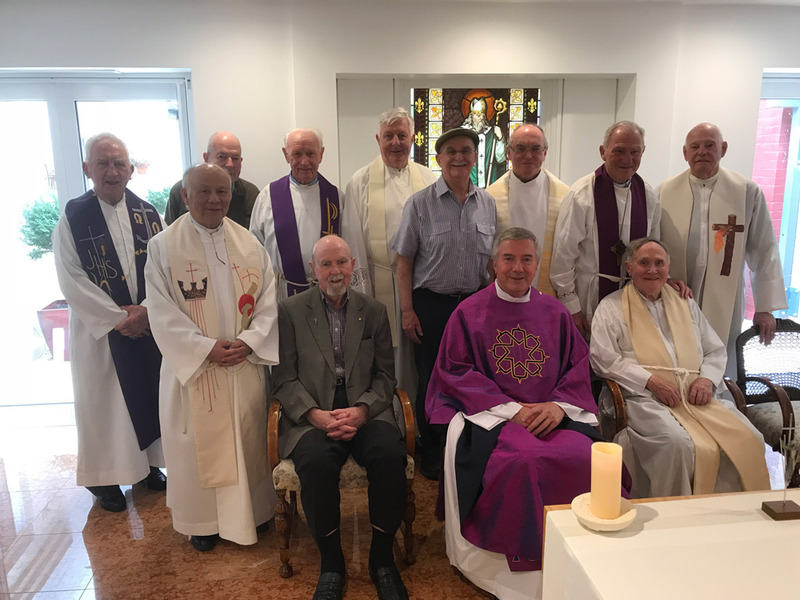 “It also thanks them for the wonderful, supportive role they play in supporting their brother priests, especially with the supply of masses,” he said. 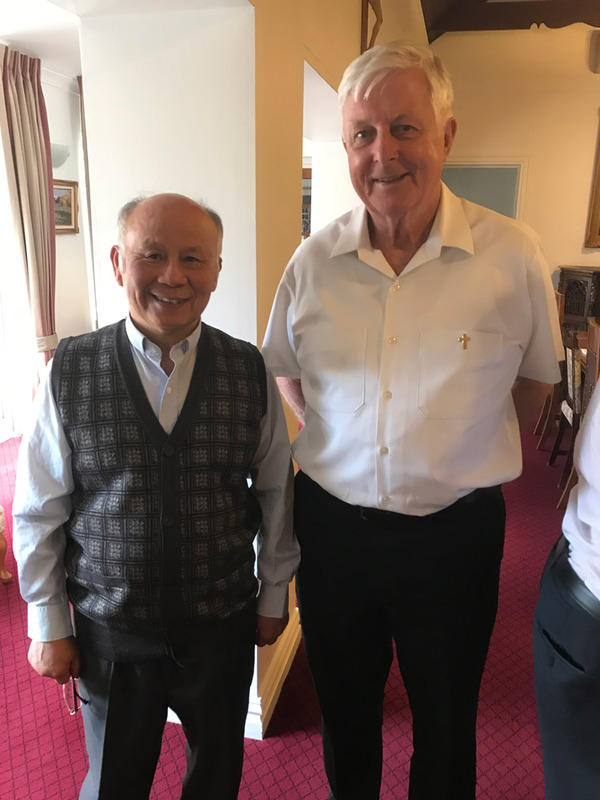 The lunch was preceded by a Mass that was concelebrated by the priests and Archbishop Christopher Prowse in the Chapel at the Archbishop’s House. 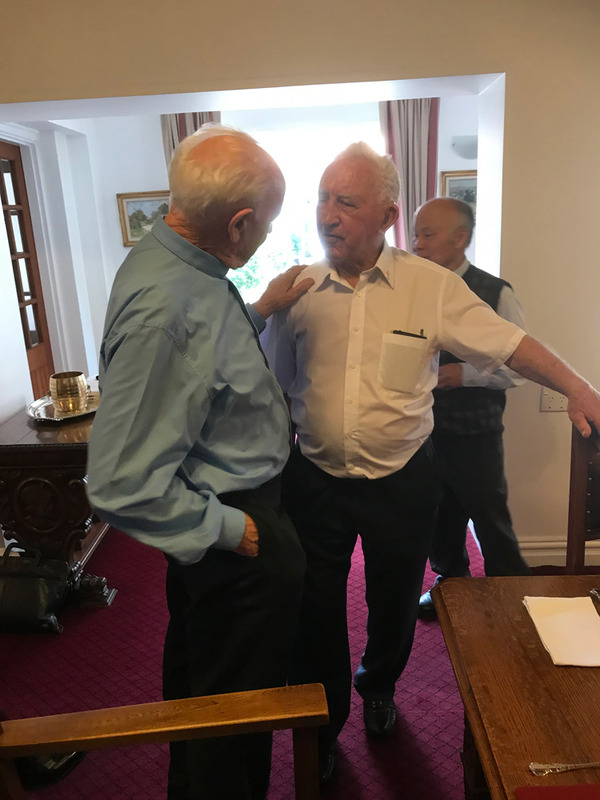 A number of retired priests were unable to attend due to unavailability, illness or distance to travel. I thank God and each of you for your lifetime of generosity. May you all have a long and happy retirement. I know and love some of you. Thank you for your combined years of service to the people of God which amounts to centuries. No hands or feet but yours. Bless you all. 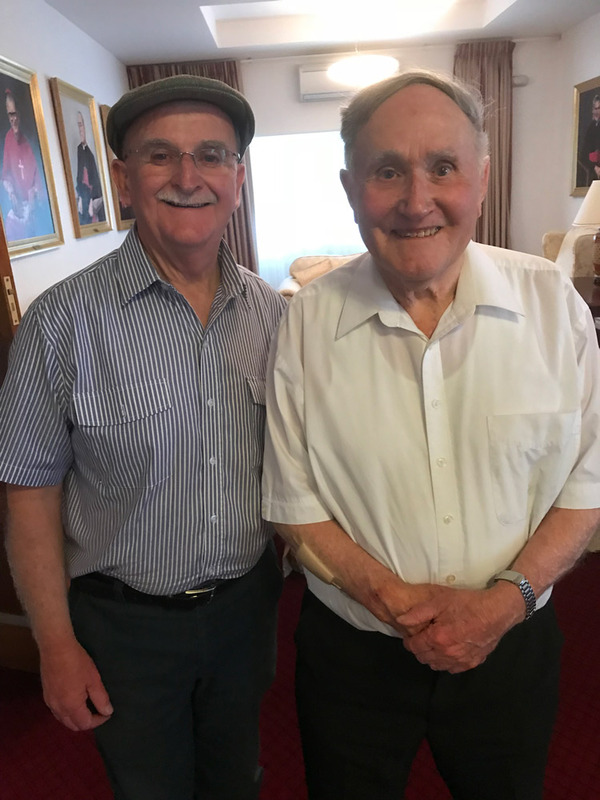 Jo R.
I would like to convey my thanks to all the retired priests for the wonderful work they have carried out over the years. I thank you for all the times you listened and things became clearer. You all follow the teachings of Jesus.God bless you.